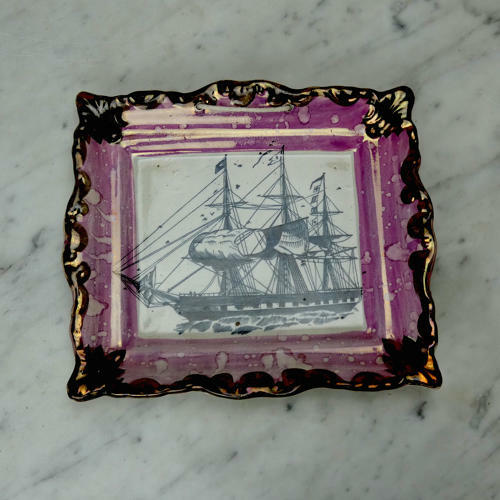 A 19th century Sunderland lustre plaque decorated with a ship. This piece bears no manufacturers marks and it dates from c.1850. This plaque is decorated with a central black print showing a sailing ship. The moulded border is decorated with a combination of copper and pink splash lustre. The piece is in excellent condition and the lustre is still in good, bright condition.